It’s time to sell! Maybe your company is quickly outgrowing your current location, you are ready to get out of CRE investing, or perhaps you’re retiring from a business you’ve owned for decades. Let’s take a look at a few tips that will help you sell your commercial property quicker and for the price you want. Take a really good look at the outside of your building. Do you need to spruce up the landscaping? Maybe a good power washing or a coat of paint would make your property look fresh and appealing. Clean the windows and replace any that are broken. And, don’t forget about that parking lot. Fix those pot holes! Making your property as pleasantly appealing as possible gives potential buyers a great first impression. A neglected building can discourage buyers and affect the sale price. As in residential real estate sales, make sure the roof is in good repair and is clean. This is one place that should you have to put money into repairs, you are sure to get it back at the time of sale. A new coat of paint inside can really help sell a property by making the interior look clean and well maintained. Make all minor repair and have floors and carpeting cleaned. If there are any major repairs that need to be handled, it is best to make them before putting the property on the market. Clean up the clutter. Be sure work areas are neat and uncluttered. Store away those boxes of documents, clean up in the common areas (especially that break room), and communicate with employees or tenants that their support in maintaining a clean environment would be greatly appreciated. The best way to get started is to find comparable properties close to your property. If you can find them, look for how far they are from your property, what those properties sold for, and the date of the sale. Sometimes this is difficult as many of the commercial databases are not available to the public. Check out the competition. If you have been able to identify properties for sale that are close to you, take a look and see what they are offering. Pay close attention to lease rates, amenities, and location. This will give you an idea of how you stack up to the competition. While comps are great, investors will also be interested in the building’s ability to generate income. 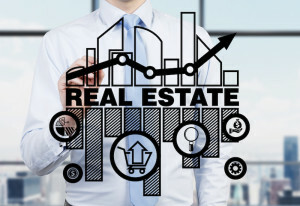 The Capitalization Rate (or CAP rate) is the rate of return which takes the amount you invested and compares it to the annual income of the property. For example: If you purchase a property for $1,000,000 and the property earns you $100,000 per year, your CAP rate is 10% – a very healthy return to be sure! Consider what CAP rate your building will yield when developing your pricing strategy. First and foremost, make sure your listing information is up-to-date and accurate. It’s much easier to negotiate a strong contract if your information cannot be disputed. Know your potential investors’ preferences. Are they an investor that is looking for a turnkey property that is 100% leased or are they willing to make improvements to the building and/or the tenant mix? Analyze your tenant mix so that you know where you stand before talking to investors. It’s always important to highlight your location’s attributes. Be honest and make sure to note recognizable cross streets that are close to your property, highway proximity, public transportation, and traffic generation numbers. Demographics are also helpful information for a potential investor to have – population, household income, and age are among the highest ranking statistics investors look for. Kyle Berkshire – Your New Mexico Income Producing Property Specialist!